Amongst all the different methods of consuming weed, there’s simply something iconic about taking a hit of herb from a nicely wrapped, fat blunt. These marijuana cigars are known to pack a potent high with a touch of tobacco for an even stronger effect. From celebrities to common marijuana enthusiasts, blunts are a classic way to smoke weed in style. In fact, Snoop Dogg recently auctioned off a blunt that he hand wrapped himself for $1000 at a Halloween fundraiser organized by Seth Rogen. 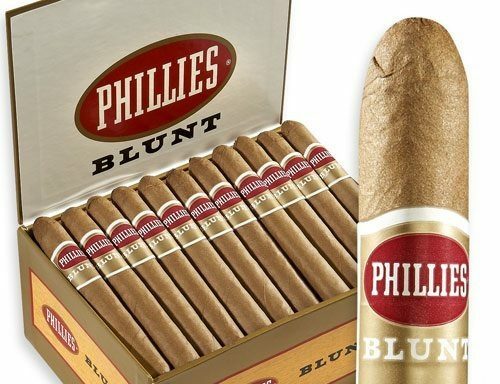 The term “blunt” started being used as a slang term by Jamaican immigrants in New York City during the 1980s, and was inspired by the Phillis Blunt brand of cigars. This is because the tobacco leaves used by Phillis Blunt were especially strong compared to other cigars, and therefore could be used to wrap marijuana. Today, smoking blunts continues to be popular worldwide and is even considered a pop culture symbol of elite cannabis culture. However, if you’re hoping to master the art of wrapping the perfect blunt, you must first have a solid grasp of the materials involved. Besides investing in quality herb, you’ll also want to pay attention to the blunt wraps that you have available, as these can make the difference between your blunt staying nicely wrapped or falling apart at the seams. Nobody wants to reach in their pocket to realize their blunt has disintegrated into a million pieces – possibly even costing you bud. To help you prevent this unfortunate scenario, we have broken down everything you need to know about blunt wraps so that you know what to look for. What is Blunt (blunt wraps)? Blunt wraps are similar to rolling paper as they are used to wrap marijuana into cigars. Because these wraps are usually large and sturdy they can be used to pack a lot of bud into a single blunt, making it as fat or skinny as desired. This method of smoking marijuana is not only stylish, it is also very convenient as blunts can be wrapped at home and taken with you when you are on the go. Many often confuse blunts with joints and spliffs, though these three smoking tools are all slightly different. The main thing that distinguishes a blunt is that it is usually wrapped with tobacco leaves or other types of paper that contain nicotine. Therefore, for those who are used to smoking cigarettes and cigars, blunts offer the perfect way to combine these smoking habits with a love for marijuana. If you’ve ever heard someone say that they were going to “roll a blunt” this could be somewhat misleading, as that terminology is usually reserved for joints. While similar, joints and blunts are actually two different things, with the main difference being the types of wraps that are used and the amount of bud that can fit inside. A good analogy is to think of joints like cigarettes and blunt like cigars. 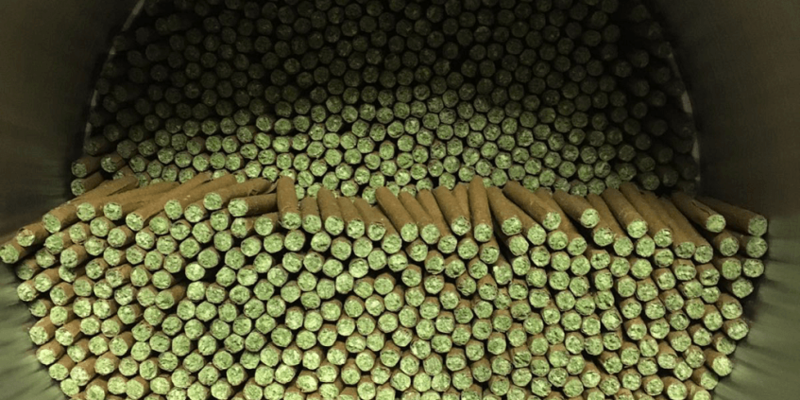 Blunts are usually wrapped using the same type of large tobacco leaves or tobacco paper that is used to create cigars. Some people even like to take pre-rolled cigars, split them open at the perforation, remove the tobacco inside, and replace it with good ole’ Mary Jane. Because blunts are so much larger, you can pack in a lot of marijuana inside, making it great to pass around at parties. In addition, due to the nicotine naturally found in the tobacco leaves, blunts usually give off a much stronger high as the nicotine and cannabis combine for an even more powerful effect. 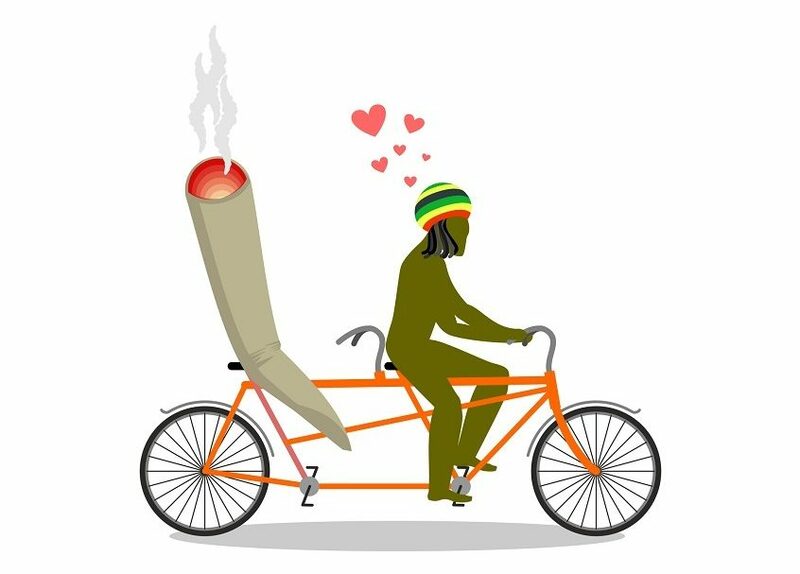 Fans of blunts love the rollercoaster experience they tend to provide as the tobacco can give you that sudden head rush feeling and then the marijuana takes over to mellow you out. Joints, on the other hand, are usually much smaller in comparison and are rolled out of the same paper used in cigarettes. Because of their smaller size, joints usually only hold between a quarter of a gram and an eighth of an ounce (if you’re pushing it). 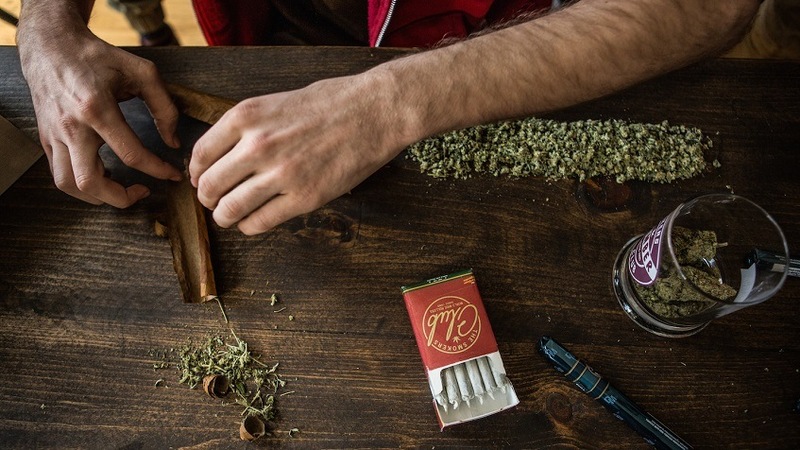 These marijuana cigarettes are usually rolled out of a single piece of rolling paper, and sometimes include a filter, called a crutch, for added structure and to make it easier to roll. There are even cone shaped rolling papers for those who are a little rolling-challenged making it super easy to pack your bud inside. To help you understand of benefits of each even more, check out the following chart. 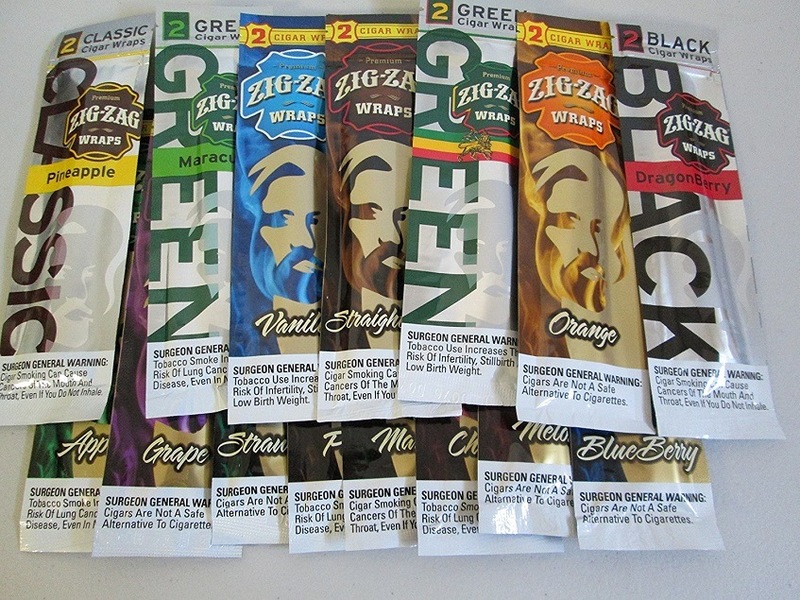 The Zig Zag Blunt Wraps are some of the most popular blunt wraps on the market, with a wide range of flavors that can give your joint a little extra taste. The flavor payoff on these wraps is amazing, and users love to rave about the quality of the paper. You can discretely purchase these wraps on Amazon in an assorted pack of 60 to have enough wraps to last you a while. Flavors include grape, blueberry, strawberry, vanilla, orange, pineapple, and more. Is there anything cooler than kicking back with a gold blunt in hand? 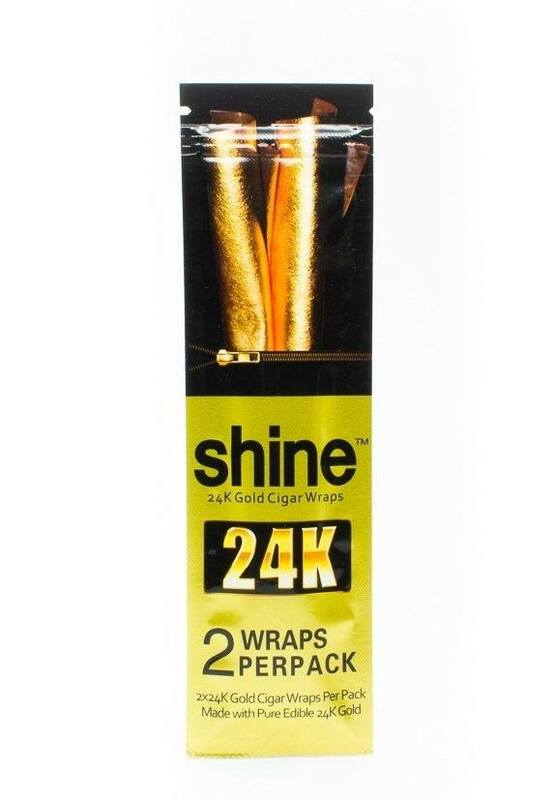 Gold blunt wraps like those sold by Shine Paper are made out of 24k edible gold that can make you feel like you are in the same league as 2Pac and Biggie. Though a little less practical than regular blunt wraps, these bad boys can be great for special occasions when you want to mellow out in luxury. Hemp blunt wraps are a great alternative for those who want to smoke a joint but who don’t want the added tobacco and nicotine. 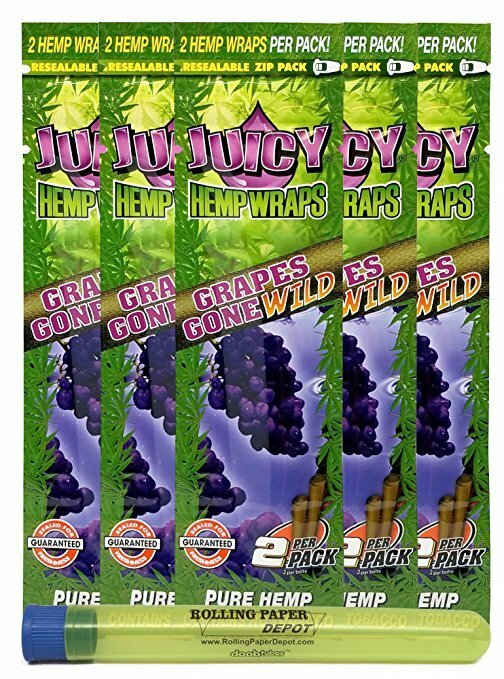 These wraps can be found in different flavors for added taste if desired, and sometimes feature a plastic tube to make it easier to wrap your blunt. Behold – the ultimate solution to the munchies while you smoke your blunt. 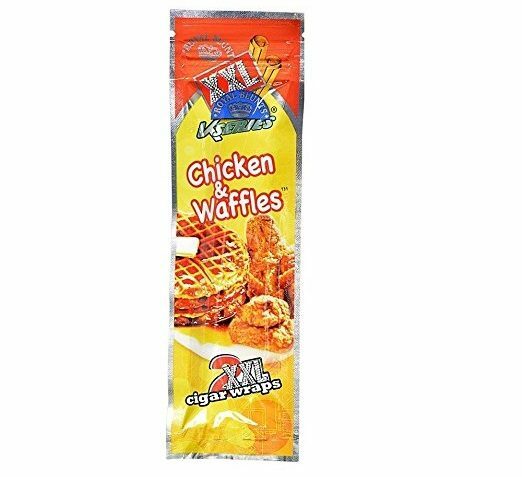 Chicken and waffles blunt wraps offer a truly unique taste and can serve as the perfect ice breaker to get a party started. The Phillips Blunt brand of cigars is where the slang term “blunt” got its name. For those who want to wrap a blunt old school style, cutting a Phillips Blunt cigar in half along the perforation line and hollowing it out, gives you the perfect material to easily wrap your blunt with. The tobacco leaves/paper of these blunts can provide added effects for a true mind-altering experience. Now that you’re a blunt wrap expert, you can move on to the next phase of mastering the art of wrapping the perfect blunt – and impressing your friends with your blunt expertise.